Capital Bay Underwriting is a Miami based Managing General Underwriter offering significant capacity and solid protection in the specialty insurance arena with an initial focus on Financial Lines for private and public corporations across Latin America and the Caribbean. Capital Bay Underwriting is a Coverholder at Lloyd’s, backed by a panel of syndicates specifically selected for their quality of service and strong credit rating. All syndicates at Lloyd’s are backed by Lloyd’s excellent ratings – A+ from S&P, A from A.M. Best, and AA- from Fitch. Syndicates have to make a contribution each year to the Central Fund, which exists to pay out claims in the unlikely event one of the syndicates does not have enough capital to fulfil its obligations. This feature is unique to Lloyd’s. Capital Bay Underwriting is located in the urban Miami neighborhood of Brickell. This neighborhood is often referred to as the “Manhattan of the South,” featuring one of the largest concentrations of international banks in the United States, and serves as a hub of activity for a multitude of corporations and businesses, particularly the (re)insurance industry for which Miami has become the gateway to Latin America and the Caribbean. Managing General Agencies (MGAs) and Managing General Underwriters (MGUs) have played an integral role in Lloyd’s strategy for decades. As a Coverholder at Lloyd’s, the MGA/MGU model is an attractive conduit for allowing London and company markets to access expertise, distribution and new products. Further, the model allows agents and brokers to access local regional markets, allowing service, document issuance, premium collection, and claims payment with limited initial capital or resource deployment. The MGA model is a tested, viable strategy for agents and brokers as well as capital alignment. Ryan Specialty Group has created a valued network of MGUs in niche areas of underwriting, aligning knowledge and expertise with quality capacity providers. With a strong presence through RSG Underwriting Manager’s (RSGUM) existing network of companies, RSGUM and its subsidiaries provide carriers the opportunity for rapid diversification and scale, creating a model for sustainability over time. Capital Bay Underwriting is a Managing General Underwriter led by two seasoned executives with 35+ years of combined underwriting expertise in Financial Lines, well connected and with an in-depth understanding of customer needs. 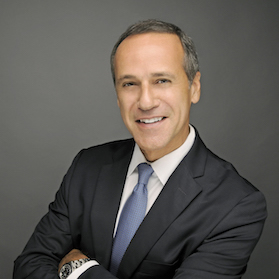 Pascal spent over 24 years in a variety of senior roles at American International Group (AIG) in Latin America, the Caribbean, and in Continental Europe. 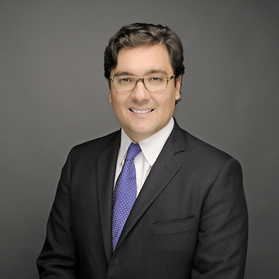 Most recently Pascal served as Head of Commercial Insurance for Latin America and the Caribbean. Previously he was Financial Lines Head and Chief Underwriting Officer for the region. When in Europe, he worked for Financial Lines in various roles of increasing responsibility, including Financial Institutions Manager in France, Financial Lines Manager for Spain, and Head of Financial Institutions for Continental Europe. Pascal earned a Bachelor of Business Administration degree with a major in Finance from the ESG Management School in Paris, France. Pascal is fluent in English, Spanish and French, and understands and reads Portuguese. David spent over 12 years in a variety of senior roles in Financial Lines at American International Group (AIG) in Latin America and the Caribbean. Most recently David was Regional Manager Financial Institutions, Management Liability and Crime, based in Miami. Prior to that time, he held roles of increasing responsibility in Financial Lines, based in Ecuador, Puerto Rico and Colombia. David earned his Bachelor of Business Administration, International Business, at Campbell University, North Carolina. David is fluent in English and Spanish, and possesses a speaking and understanding of Portuguese. World class technology and enhanced operational effectiveness creates a competitive advantage for Capital Bay Underwriting, thereby enhancing our exceptional level of customer service. Capital Bay Underwriting applies the RSG cutting-edge back-end platform, which has superior workflow management capabilities as well as policy administration and reporting. In addition, we have an efficient front-end that utilizes sophisticated raters and accumulation/aggregation capabilities. We provide ease of doing business for our agents and brokers. Claims data is integrated to provide top quality P&L reporting. The system allows for granular portfolio management capabilities, and most importantly, state-of-the-art aggregation capabilities. Capital Bay Underwriting is a Ryan Specialty Group (RSG) company. RSG is an international specialty insurance organization that provides underwriting management, wholesale brokerage and other specialty insurance services to brokers, agents and insurance carriers. RSG was founded in 2010 by Patrick G. Ryan, the highly respected insurance veteran, founder and former Chairman and CEO of Aon Corporation. Mr. Ryan saw the need in the marketplace for a specialty organization dedicated exclusively to creating sophisticated insurance solutions for risks that demand innovation, proven leadership, outstanding industry expertise and quality services on behalf of brokers, agents and carriers. The underwriting division of the company, RSG Underwriting Managers (RSGUM), delivers an independent and entrepreneurial approach to the specialty lines space by providing a unique platform for operational, legal, actuarial and technical support. RSGUM’s exceptional resources and back-office partnership allows underwriters to be focused on the risk itself, delivering a superior level of service to brokers, agents and carriers. For more information, please visit www.rsgum.com.